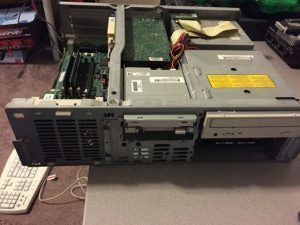 The first member of our server collection, Proliant 850R is fully functional and in excellent condition. 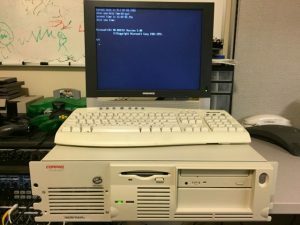 This system is a 3U rack-mount server with dual Pentium Pro 200MHz CPUs, 256 MEG RAM, CD-ROM, and 9 GIG SCSI hard drive. 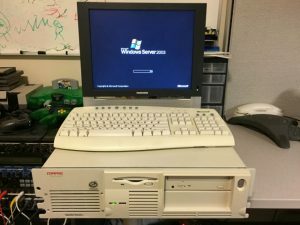 This machine was donated to us by our sponsor, Commonwealth Technical Services, Inc. after being actively used in the late 90’s and early 2000’s to provide commercial Internet services to customers in Central VA. This machine likely provided DNS and/or mail/news/web hosting services.